ranging 2µm-2mm in size – in a fluid medium, particle-by-particle. FlowCAM® provides over 30 different measurements for each particle, (while other systems give you only the one measurement of size, based on an assumption that all particles are spherical in shape). FlowCAM provides particle shape (morphology) measurements as well as gray-scale measurements (transparency, intensity, etc.) and color information (optionally). All of these additional measurements can then be used by FlowCAM’sVisualSpreadsheet® software to automatically characterize different particle types in the sample. The FlowCam VS is ideally suited to a typical laboratory environment, and can be configured in a variety of ways to fit your specific needs and application. 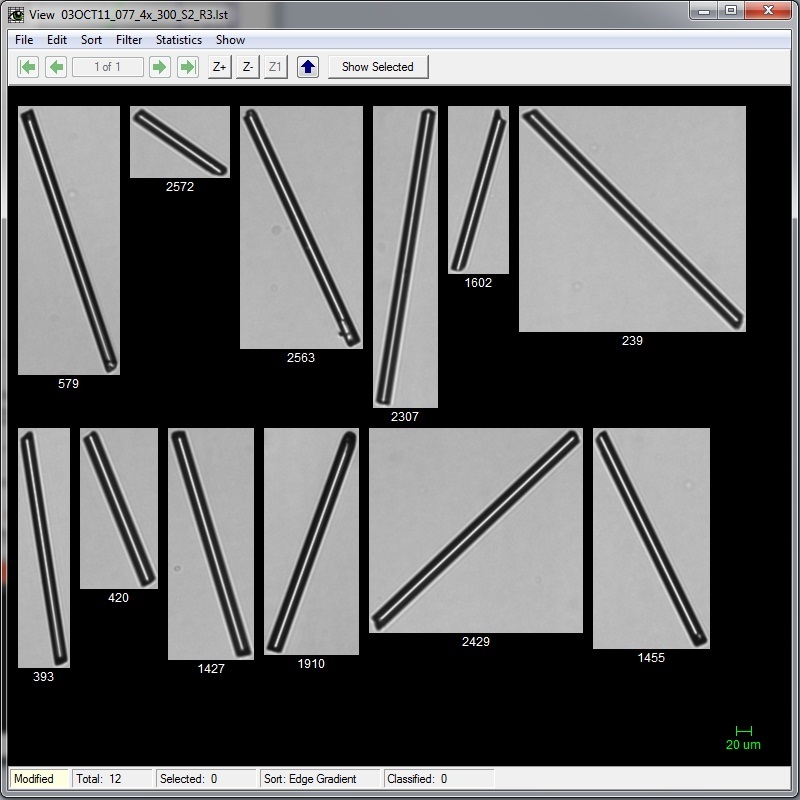 The flexibility of FlowCam VS allows you to optimize the system for counting and sizing, superior image quality, and morphology characterization. 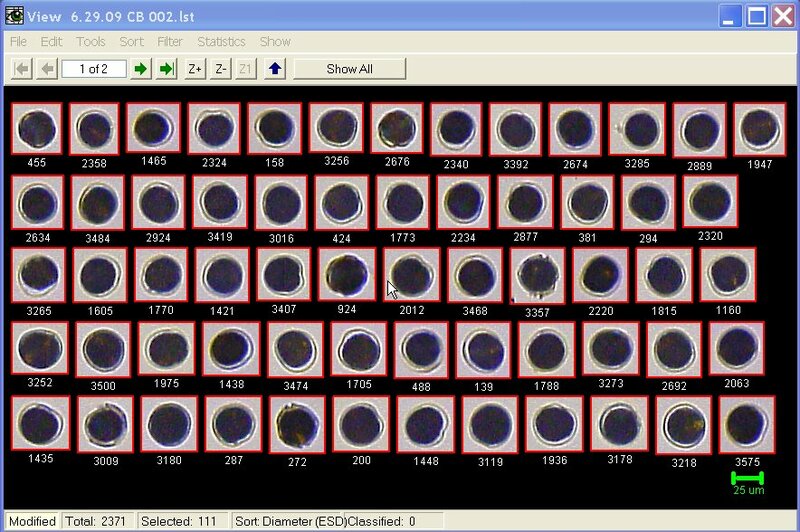 Four magnifications (2X, 4X, 10X, and 20X) and various flow cell sizes available – you can easily alternate between multiple analytical ranges. Accommodates sample volumes as low as 100 µL – and offers both discrete sampling and continuous, in-situ analysis. 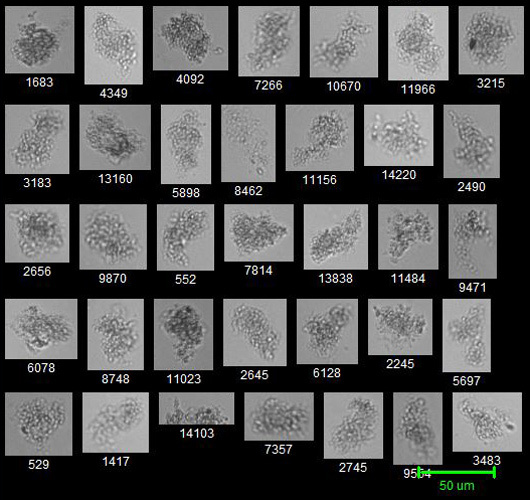 Captures particle images at up to 22 frames per second. Intuitive VisualSpreadsheet® software captures over 30 meaurements for each particle and provides extensive post-processing capabilities. The FlowCam PV offers an economical application-specific imaging particle analysis system with a small footprint. The operation of the FlowCam PV is simple and straightforward. Simply load sample and initiate run by touching a single button. The FlowCam PV is best suited for laboratories where similar types of samples are run continuously. Easy-to-use system with no setup required. Built-in containers for rinse solution and waste. All functions are computer-controlled with a touch screen or mouse-driven interface. Capture size and shape measurements in seconds. Based on proven FlowCam dynamic imaging particle analysis technology, and optimized for larger particles (50μm to 5mm), the FlowCam Macro provides rapid particle characterization that goes beyond just particle size. 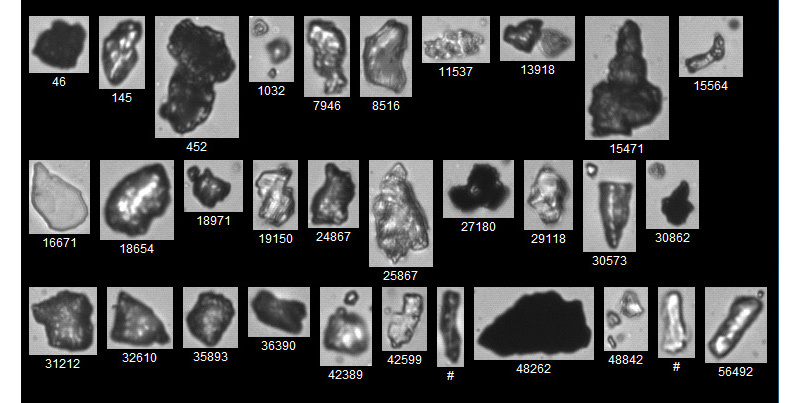 Direct, image-based measurements of particle size and shape enable differentiation of particle types in a heterogeneous mixture. 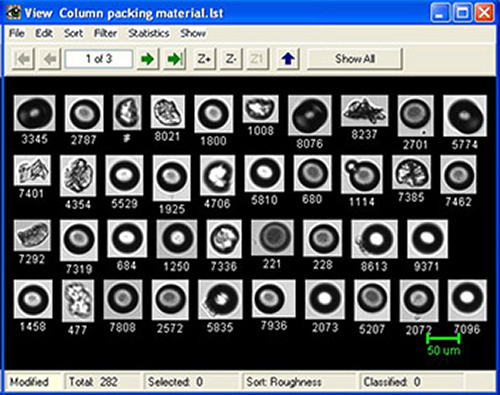 Measures particle size and shape – over 30 morphological measurements on each particle imaged. Provides superior image quality and image-based measurements – fast and accurate results you can see, backed by the quantitative data to prove it. Gives statistically relevant results quickly – allows you to look at tens of thousands of particles per minute. Allows automated, trainable, statistically-based pattern recognition – saves time by isolating different types of particles into categories and sub-populations. 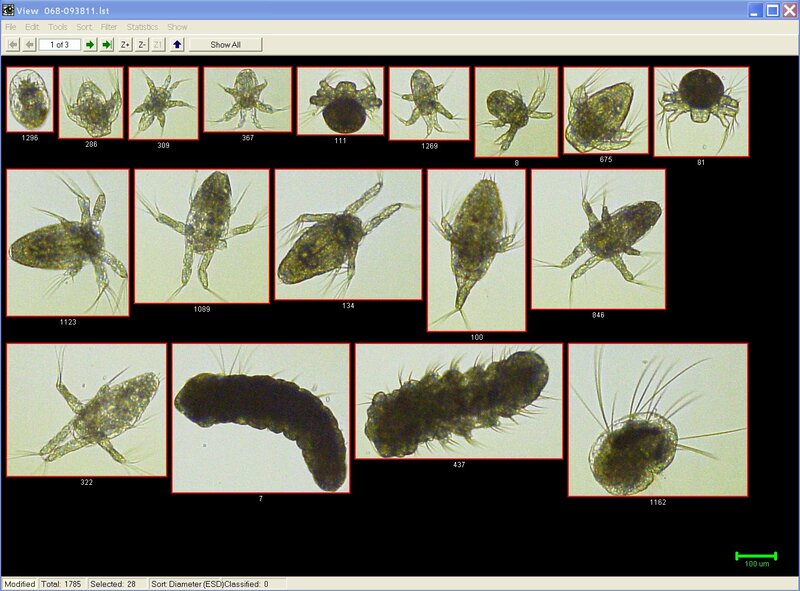 Industry-leading image quality: better images yield better measurements. Higher Sensitivity: Prevents under-counting of transparent particles and fractionation of larger protein aggregates. Complete: Includes pre-built filters for USP <788> reporting and silicone droplet isolation, 21CFR software, installation/training (including IQ/OQ), disposable pipette-tip sample introduction and all system settings optimized for biologics. Allows automated, trainable, statistically-based pattern recognition – saves time by isolating different types of particles (intrinsic, extrinsic and inherent) into categories and sub-populations. Combining superior optical engineering with state-of-the-art imaging analysis software, the rugged PetroCam accurately analyzes the size and concentration of oil droplets and solid particles in fluids. The lightweight portable system is connected to a laptop for control and analysis. You will have better understanding of your process, plus a record of your analysis with PetroCam. Lightweight yet rugged stainless steel enclosure ensures operation. Controlled by a PC laptop (included). Including oil droplets, solids, and agglomerates. Intuitive VisualSpreadsheet® software instantly displays size distribution and concentration calculations – plus offers stored data libraries. Able to handle pressures up to 2000 psi and can be used for continuous on-line monitoring.